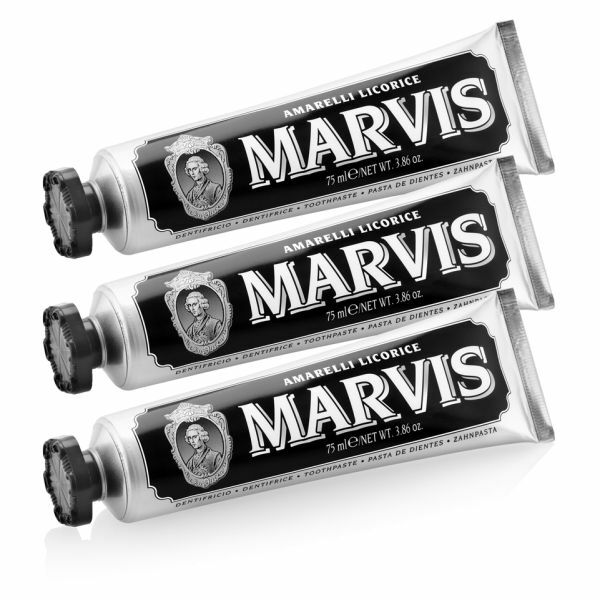 The Marvis Amarelli Liquorice Mint Toothpaste comes in a triple pack for a bargain buy. This unusual toothpaste is great for those who want something a little different but that still offers all the same benefits. 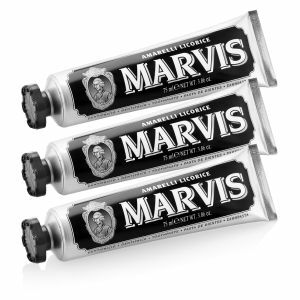 With the addition of fluoride to the ingredients, this Marvis toothpaste can still make sure that tooth decay, plaque and tartar are kept at bay. For those who like old-fashioned grooming and style, the vintage packaging of this liquorice mint toothpaste is perfect and a real breath of fresh air when compared to the type of toothpaste you would normally pick up in the supermarket. This toothpaste is very good, but the mint is too strong. I like the scent,It was a good product!